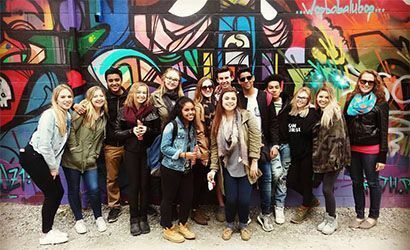 You haven't truly relished Toronto until you've come on a Tasty Tour! 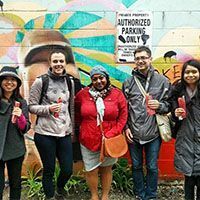 From our Kensington Market 'Taste the World' Food Tour to Toronto's Ultimate Chocolate Tour, we've got something for everyone! 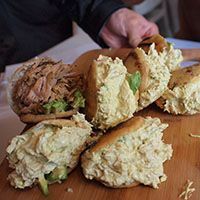 Each Tasty Tour features tour-exclusive samples or behind the scenes visits, nuggets of food and Toronto history, and a whole lot of delicious eats. We’re also the creator of the iconic Toronto Truffle aka the Toffle™. Kensington Market, a National Historic Site, is a must-see on any Toronto bucket list. Travel the world in one afternoon as we taste a variety of multicultural delicacies in this crazy, colourful neighbourhood (including a bonus stop in Chinatown). Are you ready for an adventure? Tasty Exclusive! Try a very 'Canadian' dish with a special Tasty Tours twist. This is the chocolate lover's dream tour. 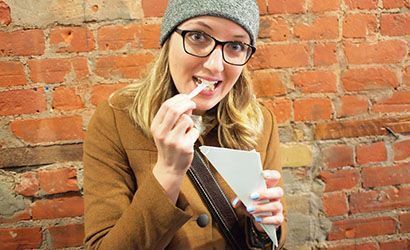 You can't call yourself a chocoholic if you haven't been on the only Chocolate Tour in Toronto that imparts the art of chocolate tasting and samples chocolate from bean to bar. Yep, we take our chocolate very seriously here. Tasty Exclusive! 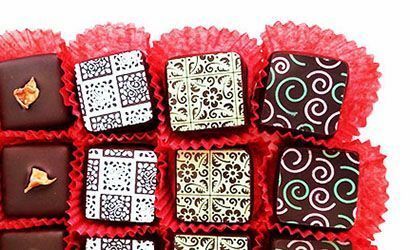 Watch a chocolate demonstration by an award-winning chocolatier. We can customize our tour to suit your needs or create your dream foodie adventure at your own budget! Group rates are available. We usually require a minimum size of 7 participants and more than 1 month's notice, but exceptions will be considered on a case-by-case basis. 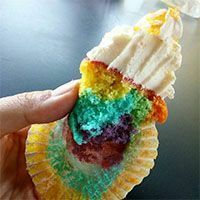 Perfect for birthday parties, bachelorette parties, corporate outings and more! We are a proudly local business, honoured to support local businesses and staffed by local experts passionate to share our beloved city of Toronto. Light on your wallet, heavy on your stomach (in a good way!). Plus we don't charge HST. Our value and tour experience just can't be beat. From industry awards like the Top 30 Under 30 to fan choice awards like TripAdvisor's Certificate of Excellence, people love us! And we love you too. 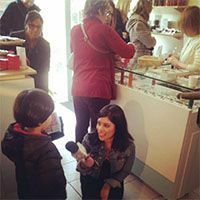 Besides being the only sweets tour in Toronto, indulge in tour exclusive experiences ranging from secret samples to behind the scenes visits.